VII International Conference "Zinoviev Readings" — "The Reality of Planned History"
The Seventh International Conference “The Zinoviev Readings” at Rossiya Segodnya International Information Agency on the subject: "Alexander Zinoviev: The Reality of Planned History" took place on October 25th, 2016. The Seventh International Conference “The Zinoviev Readings” at Rossiya Segodnya International Information Agency on the subject: "Alexander Zinoviev: The Reality of Planned History" took place in the Multimedia Press Center of the International Information Agency "Rossiya Segodnya" on October 25th, 2016. During the First panel Michael Kirkwood and Youri Solodoukin were awarded with the Alexander Zinoviev Philosophical prices. Timofei Sergeitsev — member of the IIA “Rossiya Segodnya” Zinoviev Club. interests from Russia and abroad are going to participate at the discussion. 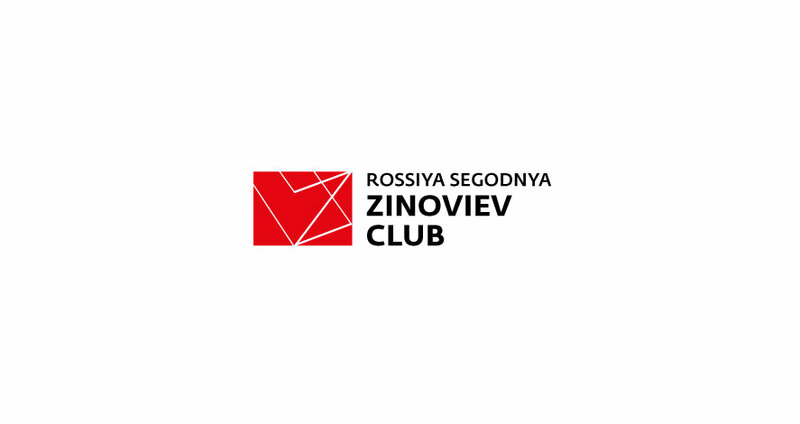 The IIA "Rossiya Segodnya" Zinoviev Club is a platform for expertise and analysis, created by the Alexander Zinoviev Biographical Institute together with the Rossiya Segodnya News Agency. Co-founders and co-chairs of Rossiya Segodnya’s Zinoviev Club are Dmitry Kiselev, Russian anchorman, Director General of the Rossiya Segodnya International Information Agency and Olga Zinoviev, Head of the Alexander Zinoviev Biographical Institute, President of the Russia-Germany Society. The club is named after Alexander Zinoviev, a prominent Russian philosopher and sociologist. He spent 21 years in emigration in Germany before returning to Russia in 1999. From 1978 to 1999, he lived and worked in Munich. Upon his return, he lectured at the Moscow State University’s philosophy faculty. Alexander Zinoviev is author of many books and reknown bestsellers, such as "The Yawning Heights", "The Radiant Future", "Homo Soveticus", "Para Bellum", "Katastroika", to name but a few. Photo by Vladimir Trefilov, IIA "Rossiya Segodnya"